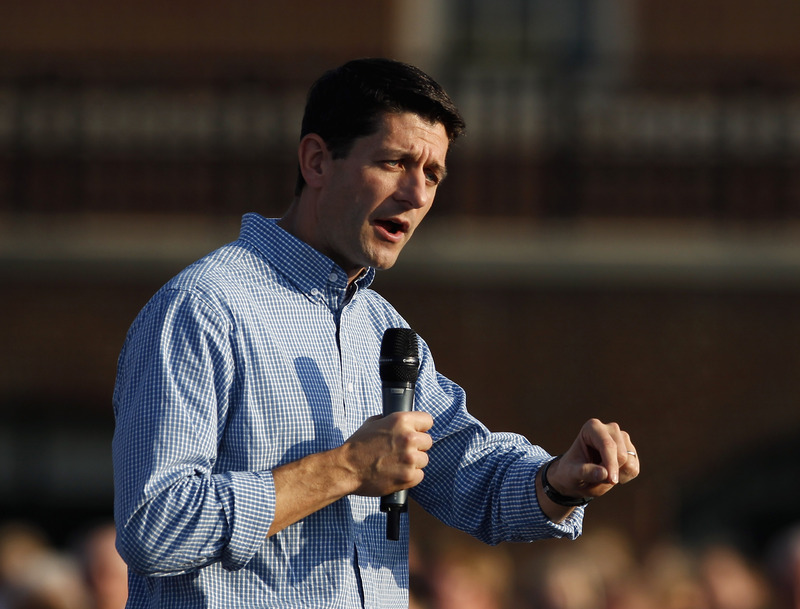 (CBS News) NORTH CANTON, Ohio - Borrowing a popular refrain from Mitt Romney, vice presidential candidate Paul Ryan on Thursday accused President Obama of allowing China to treat him like a "doormat" and failing to stop its economic cheating. "Free trade is a powerful tool for peace and prosperity, but our trading partners need to play by the rules. And this challenge focuses on China," Ryan said during a speech at the Walsh University gym here. "They steal our intellectual property rights. They block access to their markets. They manipulate their currency." Obama "said he'd go to the mat with China," Ryan added. "Instead, they're treating him like a doormat. We're not going to let that happen. Mitt Romney and I are going to crack down on China cheating. And we're going to make sure that trade works for Americans." It was the first foray into foreign policy in a campaign speech for Ryan, who as House Budget Committee chairman is known mainly for his expertise on fiscal issues. Accusing China of cheating is a line Romney frequently breaks out on the stump, and is popular with blue-collar workers who have seen many of their jobs shipped overseas. But his tough rhetoric has raised concerns (http://www.nationaljournal.com/2012-presidential-campaign/romney-s-anti-china-rhetoric-raises-concerns-20120220) among Romney's backers in the business world. Obama campaign spokesman Danny Kanner said in a statement that Ryan's comments "once again demonstrated that he's been co-opted by Mitt Romney after flip-flopping on his own record." Both Kanner and the AFL-CIO noted that Ryan voted against a House-passed bill in September 2010 authorizing the Commerce Department to impose duties on imports from countries with undervalued currencies such as China. "Just a few days after being picked as Romney's vice presidential candidate because of his 'ideas,' it's unfortunate and troubling that he so quickly abandons them," Kanner said. Ryan also talked up Romney's economic plan that promises to create 12 million jobs in the next four years. That would include, he said in his speech, 452,000 jobs for Ohio. His remarks made clear that Romney and Ryan are seeking not just a victory, but a mandate from the American people. "We want to honor you by giving you the choice. So that we can earn victory, so that we will deserve victory, so that we will have the moral authority, the obligation, the contract, the covenant, and the mandate to do what needs to be done to get this country back on track," he said. Part of that choice is welcoming a debate over Medicare with President Obama, which Ryan did for the second day in a row by accusing the president of raiding the Medicare fund to pay for the health care law. Earlier this week, he renounced $716 billion in cuts to Medicare that were part of his fiscal 2013 budget. In a sign of just how seriously Romney and Ryan are about taking the offensive on the Medicare debate, Ryan will travel to a prominent Florida retirement community called The Villages on Saturday to campaign. Florida will likely be the battleground for a debate over the Republican's entitlement plan because of its high percentage of voters over 65. Ryan also couldn't resist taking a shot at Vice President Joe Biden, who mistakenly said the Democratic ticket could win North Carolina again even though he was at an event in Virginia. "It's great to be here in North Canton or as Joe Biden might say, it's great to be here in Nevada!" Ryan greeted the crowd.